What happened last Tuesday was started by an "unruly bunch" — the people who were controlling the Senate that night, flouting rules, chucking tradition and ignoring common sense to get their way. When discussing the events of “Filibuster Day” in the Senate last Tuesday, the word “unruly” has been thrown around a lot. One definition — “not submissive or conforming to rule” — certainly applies. It was an unruly bunch controlling the Senate on Tuesday night. A worldwide audience saw those in control flouting rules, chucking out tradition, ignoring common sense and doing whatever they had to do to get their way. They debased our proud, prestigious chamber in the name of an ideology focused on undermining women’s health and women's rights. It’s ironic (to put it kindly) that these folks who so shamelessly ignored the rules to get their way have now, insultingly, applied the “unruly” label to the citizens who packed into their Texas Capitol on Tuesday. Keep in mind, the people in the gallery watched quietly for 11 hours, late into Tuesday night. There was very little trouble until it became obvious that those in control were panicking and trying to rush through the bill's passage literally at the 11th hour. They ruled that current Texas abortion restrictions aren’t germane to a discussion of a bill containing new abortion restrictions. They ruled that Roe v. Wade, the famous Supreme Court decision guaranteeing a woman's constitutional right to make decisions about her body, isn't germane to a discussion of a bill that would severely limit a woman's right to make such decisions. They broke an express promise that senators would vote on whether Sen. Wendy Davis could continue her filibuster. They inappropriately recognized a Republican who wanted to throw out my motion to appeal a ruling — wrongly taking the floor from me and giving it to someone they agreed with. They cut off the filibuster under a rule saying there can be only three findings that a speaker addressed a non-germane point — even though there were only two such findings on Davis. That list doesn’t even count the arbitrary elimination of the Senate’s traditional two-thirds rule. The rule requires two-thirds of the Senate to bring a bill up for consideration. It’s meant to encourage compromise and foster harmony. But the lieutenant governor tossed that out on the first day of the special session and never restored it. The audience watched those in control impose their will on the Senate. They watched rampant rule-breaking make a mockery of parliamentary procedure and basic common sense. They saw that injustice and absurdity were about to determine the night’s outcome. And, not surprisingly, they reacted to seeing those in power rigging an unjust game. And the folks in control of the process didn’t know how to deal with it. They're so used to getting their way that they expected to do whatever they wanted, however they wanted, with no regard to rules, tradition, optics, common sense or just about anything else. They were taken aback when Texans who deserve a democratic process were insulted by this display of raw power. They forgot that disrespecting and trying to suppress others' points of view should be unacceptable to everyone. What made Filibuster Day truly historic wasn’t the policy or even the politics. It was, first, the effort to use raw power to pass bad legislation that senators had killed in the regular session and, by Tuesday night, had every right to kill in this special one. And, second, it was the fact that it didn’t work. The people’s voices were heard, and they prevailed. Regardless of our politics, all Texans want an honest government. We want our leaders to play by the rules. We expect our voices to be heard. In that, every Texan won last week. And those in control of the Legislature should be very careful. Because no matter the issue and no matter the result, if they try to shove something into law with no regard for the rules or the people, they’ll lose every time. 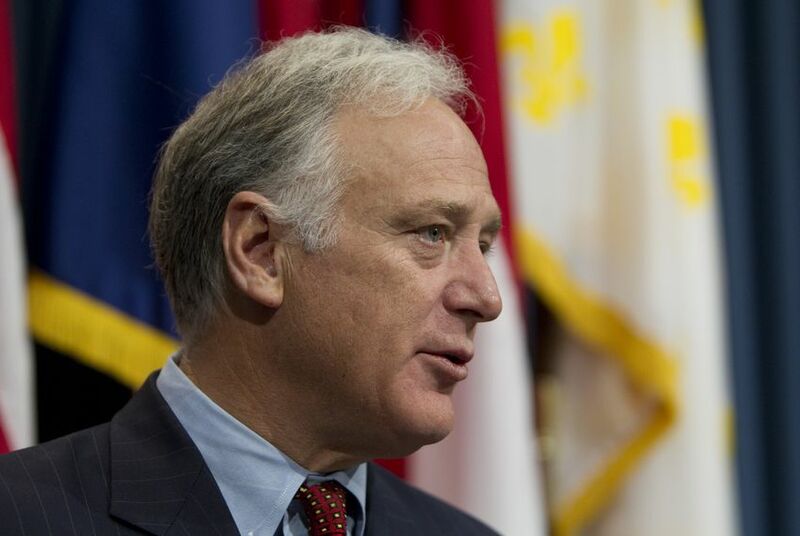 Kirk Watson, D-Austin, represents Texas Senate District 14 and heads the Senate Democratic Caucus.